Applications have initiated significant development efforts and business activity. Besides very successful game and other application companies there are also other, even more significant opportunities, closely related to applications: Improvement or expansion of existing businesses or creation of completely new ones. This will also have major positive impact on national economies. Application (or app) economy refers to economic activity that relates to mobile applications, industy practically born only after 2007. It is estimated to be a major economic contributor. In the United States it last year directly employed 466000 persons and in Canada 41300. According to another study, North America employs this year 525000 persons and Europe 531000. Growth forecasts are also very upbeat, in Canada + 51 % by year 2016. The EU has also woken up to measure economic impact of applications and ways to better harness their potential to support economic development. Applications are brought to market with wide range of business models, such as paid downloads (incl. subscriptions) , in-application purchases and advertising. In addition, they can be used to make physical product or service purchases or one can purchase different types of media content (such as music, videos, books). Recently published appNation study evaluated that the size of app economy is 59.8 billion USD in 2013, expected to grow to 151 billion USD in 2017, see the illustration below. These figures are reasonably in line - but not completely matching - with other market research. Not counting sales of physical goods and services, Portio estimates for 2013 20.4 billion USD, ABI Research 27 billion USD. 2017 figure of Portio predicts 63.5 billion USD, and ABI Research for 2018 92 billion USD. Portia has also assessed sales according to monetisation methods, see the picture on the right. Consistently with appNation, they predict that relative importance of in-app purchases increases significantly, and accordingly paid downloads will loose. Distimo sees even more dramatic change, they say that in-app purchases are now already three times bigger in the United States and nine times bigger in Asia than paid downloads. Also estimates of the role of application advertising vary, for example Strategy Analytics estimated 2.9 billion USD in 2012. Games bring most of the revenues in application stores, in the second quarter of 2013 they accounted for 80 % in Google Play 80% and around 75 % in Apple App Store. The most noteworthy element in the AppNation prediction above is revenues from sales of physical products and services - much bigger than that generated by other business models. Vision Mobile research strongly supports this conclusion, too. Estimation of sales figures accurately is very challenging, because definitions of included sales vary and because statistics may not be planned to produce results on this. Amazon and Ebay are examples of companies selling primarily physical products and Hilton an example of a service company: All have created applications for the most popular smartphones and tablets, targeting to create a handy and convenient buying experience. Besides using applications for commerce, businesses are using them as business model cornerstones, to improve user experience and to build stronger relationships with their customers. While these activities are absolutely essential, there are no consistent methodologies, how to include them in market estimates. Thus when evaluating importance and size of the application economy, reliability of results is often very low. Inter alia, Siemens utilises applications to improve their business. For example, their hearing aids unit has developed an application that provides information about hearing problems and allows users to test their hearing by themselves - a great way to increase company's credibility and gain customers. Planmeca again, for example, extends its teeth imaging tool with an application that allows images to be viewed outside of imaging sessions. It is clear that the greatest potential for applications is linking them to company business, either to sell its products or services, to generate better business models and products or to assist in creating and strengthening customer relationships. This does not in any way rule out a possibility of creating new and thriving business around applications - such as Rovio and Supercell have built in game industry. Besides games, there are also other industries, where successful business, utilising digitalisation, can be established - either by existing companies or startups. And, as Rovio has shown, after sufficient initial success, it is then possible to extend business model - even in a way that leaves an original monetisation model only a minor role. Companies, selling physical products or services, need to develop capabilities to understand opportunities and restrictions of the application world. These insights are then linked to new business model and product development and their go-to-market, marketing and sales support and to activities to tighten customer relationships. Everything need not to be made in-house, but adequate understanding is necessary to create genuine competitive advantages and to partner successfully. For example, detailed application specification and development can well be outsourced. Anticipated growth of application economy creates new opportunities for application development companies, but in order to be a credible and desirable partner for a wider range of companies, developers have to increase expertise in their customers´ business pain points, business models and customer engagement. And, finally. Applications, especially together with other products and services, are a great tool for both established companies and startups to radically disrupt existing businesses. E-books create opportunities for emergence of short prose and non-fiction that is not sold in collections but one by one. This phenomenon is also one of the tools that helps literature to fight on consumer´s time consumption. The main drivers of this phenomenon are changed consumption habits enabled by new technologies, as well as other changes introduced by digitalisation of book industry's value chain. The book world is going through the same digital revolution that has already had a strong influence e.g. in music and video business. In both of them, consumer needs, technology enablers and newly formed value chains have led to strong growth in supply and demand of short form works. In digital music stores it became possible to download individual tracks, in parallel with collections. In videos affordability and easy access to creation tools, as well as readily available distribution (such as YouTube) have completely transformed earlier short film scene. A similar type of development is about to swipe across written word. Short stories usually comprise of 1,000 to 8,000 words and novella of 7500 up to 30,000 words. Size limits are vague, and therefore, we use the term short story very liberally to cover the whole field of short prose. Also non-fiction texts are part of the phenomenon: Texts that are too short to form a whole book but too long for a magazine article. Special types of short form literature are also looming, such as the one visible in fan fiction. Three major players, particularly active in the United States, are pushing short e-book formats: Amazon has Kindle Singles program, Quick Reads of Apple's iBookstore and Barnes & Noble Snap. Thin Reads site reports that in 2013, by the end of July, a total of 211 new short titles were published, the number of publications increasing quarter by quarter. The business is still modest, although Kindle Singles has sold 5 million copies since beginning of 2011 until April 2013. 28% of titles have sold more than 10,000 copies, and sales prices are typically between 0.99 USD and 2.99 USD. The catalogue available is already quite versatile, but according to Thin Reads, fiction best seller list is led by Debbie Macomber with her newest romance short story, and non-fiction list by a murder case study. There are a lot of differing opinions on the case of short form E-books: Critics often refer to negligible sales figures or claim that no changes in readers' habits and needs are taking taking place. In the following, we examine key value chain changes, to better understand opportunities and challenges related to short form. Short stories and other short texts have been read for a very long time, either being part of a larger collection (a book consisting of multiple short stories) or published as an individual story in a magazine. Traditional masters include such names as Hemingway, Steinbeck, Kerouac, and Vargas Llosa, Stephen King is one of the more recent ones. 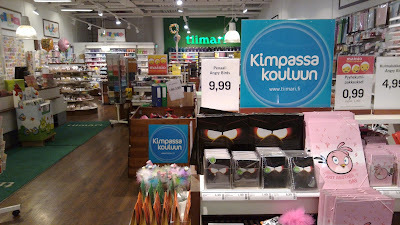 In Finland, e.g. Veijo Meri, Maria Jotuni and Tove Jansson have created popular short stories. Digitalisation of media and always accessible personal devices, such as smartphones and tablets, are changing reading context. First of all, reading is competing for consumer's use of time against other media and communications applications available through a personal device, as well as social media and other Internet content and applications. On the other hand, one can carry as much reading as ever needed in her pocket, and especially short form is ideally suited for fragmenting media use, where consumption takes place more rapidly and more frequently. E-books can be read on dedicated reader devices or on computer, tablet or smartphone having a reading software. In particular, younger readers seem to prefer general-purpose devices: Pew Research Center found in a study in Autumn 2012 that in 16 to 29 year age group, 41% use smart phone, 55% PC, 23% dedicated reading devices and 19% tablet to read e-books. When short stories are sold in physical form, cost of a one single item is not significantly lower than that of a short story collection. When selling a product in digital format, this kind of constraints do not exist - thus there is no pressure to sell short stories in collections in one package. Short stories can then be sold one by one, in much the same way, as when publishing in literary or other magazines. Due to very low marginal costs, setting price of a digital form short story is much more flexible. Low manufacturing costs and ease of distribution, enabled by digitalisation and the Internet, have already attracted amateur and other hopeful writers: Short stories provided in electronic form are a great way for writers to convince consumers of their skills at an affordable price, and thus create greater demand for their writings and stimulate interest among publishers. More famous writers can also count on short stories to produce significant returns. E-books have a special advantage, because various multimedia elements can be layered on top of text. For creation of such experimental media formats, there is also is also some special software available. On the Internet anybody can sell anything, and this also applies to short stories. In practise, however, consumers' ability and willingness to find offered texts favour large vendors, such as the previously mentioned Amazon, Apple and Barnes & Noble. All of them have their own editorial teams, who closely watch over quality and level of originality of offered texts. For an author, of course, this is an additional barrier, but worth a try for potential big marketing support. Due to low working capital needs in production, distribution and sales, it can be expected that number of short format sellers is going to increase and the market will begin to follow long tail concept. In this case, the challenge will be, how to improve your chances to be found in a shop that is selling short form e-books. The Internet and social media offer excellent and affordable tools for short story marketing. An author is no longer at the mercy of publishers and booksellers in increasing her popularity, and even though these are willing to promote her book, an author is able to further increase efficiency of marketing by herself. Single short stories are also used to promote collections of short stories or novels, publishing often taking place before actual works will be launched. Short form text market is estimated to be 25 to 40 million USD this year. The same industry expert predicts rapid growth with billion USD market in next five years. Although you would not fully believe in these figures, short form will be an important marketing tool and demand driver, so competition in the area will be strong. 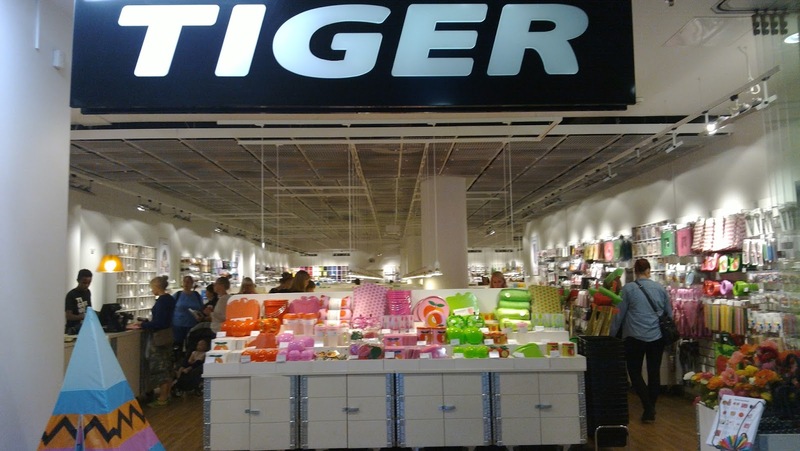 The top three retailers have built their businesses from different starting points, and each have their own distinctive strengths. Amazon revolutionised physical book e-commerce, has since expanded to large number of other product categories and taken a leading role in both normal and short e-books. Apple´s stronghold is in its devices, well-suited also for reading (e.g. iPhone and iPad with reading application) and in successful sales of digital content and applications. Barnes & Noble is in turn a traditional bookseller, which has gradually expanded its range and harnessed also the Internet to their sales efforts. In future, each of these will probably continue to invest in short texts in order to maintain and improve their positions. Google is one of the other major players worth following, with already other activities with books. Startup publishers are challenging large and well-established ones with their greater willingness and ability to approach the market in a new way. The most notable ones are, among others, Thought Catalog, Atavist, Byliner, Think Piece and New Word City. It is to be expected that more newcomers will enter the market with new combinations of content focus, multimedia use, business models and marketing innovations. As we have seen, for example in establishment of digital music ecosystem, key players are often very conservative, and this will also significantly affect development of short form text. Many self-confident writers might value novels over shorter forms, and though they would be writing short stories, collections would be preferred to single stories. On the other hand, there are writers like Stephen King, who have been quick to spot new opportunities. Those forerunners have an opportunity to expand demand for their products and gain a larger share of sales revenues by becoming a self-publisher and by effectively marketing their own texts. As regards to short form text publishing and sales, it is interesting to see, how quickly we shall see new operating models that will support supply of a much broader selection, according to long tail concept. In Finland, e-book market is at a very early stage: In 2012, e-books accounted for only 0.36% of total general literature sales. In the US the corresponding figure was 22% and in the UK 13%. None of the biggest local e-book suppliers is actively driving increase of short form sales. Adlibris, with presence in Nordic countries, as well as Finnish eLibris and Suomalainen Kirjakauppa are offering some collections of short stories, but no single digital texts are available in their shops. On the other hand, Ellibs provides at least investigative journalism texts of Long Play and Elisa Kirja has also some short stories available. There are, however, numerous sites with varying focus available for short text writers. It is quite easy to get at least some visibility, but getting paid and other promotional and commercial benefits are limited. Well-established writers have not yet found market of short story singles, nor have used singles to market larger literary entities. The question is, who will act first, who will reap the benefits? When I was selling mobile phone systems in 1988, working with a major player in the business, I received on my desk a request from then Czechoslovak Socialist State-owned telecoms provider, SPT Telecom. It called an indicative offer of NMT exchanges, base stations, and a bundle of services. Details of the tender were limited, and no means to ask for further information were provided. Only the address and time, where and when the offer was supposed to be delivered. Although the signs to make a deal were very poor, we decided to make an offer. As requested by the customer, it meant three binders in five copies - two large suitcases full of paper. I flew to Prague to deliver the offer, with the aim to try to meet the senders of the invitation to tender, to clarify their plans and to create for us a good position for the following steps. At SPT I was welcomed by a guy that looked like an accountant. He took the papers, but was unable and unwilling to discuss anything about the project and could not arrange meetings with the ones with more knowledge. I was sure that this will not work. Fast forward to 1991. After some vivid years Czechoslovakia is now liberated from socialism, SPT Telecom is privatised, it has established a cellular joint venture Eurotel with American operators - and we have won the Eurotel contract to supply the country's first NMT network. In that autumn Eurotel's core team comes to Finland via Stockholm. The ferry trip to Helsinki will be used to celebrate cooperation, besides ordinary business meetings. At night, I sit on board along with two of Eurotel's senior directors, who have been involved for a long time, and I hear from them a warming tribute: In 1988, we were the only company that answered their call for tender, the resulting information helped them greatly forward, and then established relationship was significantly affecting the selection of the supplier. The story above is a great proof of how vital it is to start building customer relations already today, though they probably will not bear fruit until tomorrow. Here we shall dig this deeper. The focus is not to predict future client needs but measures to utilise changes in customer business circumstances, with the aim to open our products and services for new opportunities. The ideas are more applicable to ​​corporate customers, in the consumer side of the approach is slightly different. How to track these changes ? As noted above, changes in the macro-level operating environment create big opportunities to transform a hesitant would-be customer into buying one or to increase their sales volume significantly. These changes are already under way rapidly, for example in the BRIC countries, and many new countries, e.g. in Africa or Burma and Cuba, are worth following. Another country or regional level change opportunity relates to new or heavily increasing investments in certain geographical areas or domains. Wide interest in food, water and energy supply, or projects planned in the arctic regions are examples of this. On individual company level, planned changes in the ownership structure are a sign that there might appear demand for new products and services. Ownership arrangements may generate resources and willingness to implement plans, which were previously beyond means. Investments can also be directed in adjacent sectors or new geographical areas. Planned changes in company's business model anticipate new opportunities for sellers. New needs and customer segments to be served, re-shaped offerings, sales channel and customer relationship strategy changes, renewed revenue model, etc. are all signalling change in a way of working, thus potentially implying new or broader supplier relationships. Facing significant external influences, such as globalisation, digitalisation and growing social media influence on customers' purchasing decisions, may suddenly change company's competitive horizon. To meet this challenge typically requires new solutions and new partnerships. For most of the products and services, startups are very insignificant, or at least high risk customers - you never know, whether an emerging business will continue to exist, if any growth is to be expected or if a company is capable of paying their bills. On the other hand, if a startup survives and is able to grow, it needs for further expansion same products and services that also established companies use. 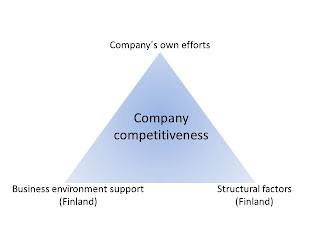 And even bigger growth will be seen in subcontracting and services related to startup´s business domain, as well as in complementary and supporting products and services. By creating contacts and business relationships with these companies at an early stage, there will be an option to benefit from potentially astonishing growth. The good news is that you can also be prepared for these changes. With existing customers, the company must first define possible and relevant change options in the horizon, prioritise them and then select the customers that the main changes would mostly impact. On customer level impact of changes need to be taken into account in the customer-specific action plans and in their implementation. This is best done by modifying attractiveness assessment of the customer that is part of the overall plan. Future potential is explicitly taken into account in the assessment of challenges facing customers in the future, their probability, and thus possibly resulting additional sales. In this way, also currently low-valued customers get enough attention and a company positions itself well for future growth. 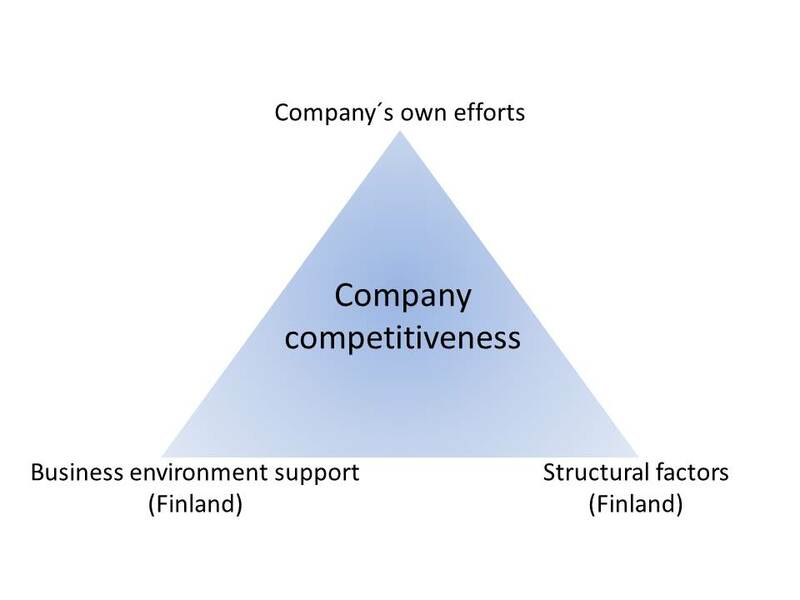 In case of new customers, a company needs to be prepared for possible changes also when selecting new target countries or regions, prioritising new focus customers and when evaluating willingness to establish a beachhead in companies, whose potential is small at the moment but in the future may be significant.